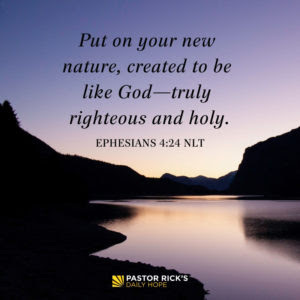 The Bible says, “Put on your new nature, created to be like God—truly righteous and holy” (Ephesians 4:24 NLT). 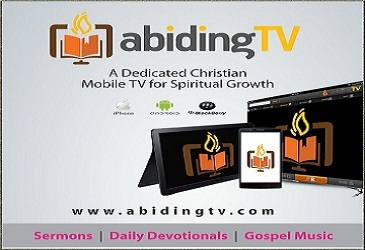 Put on your new nature, created to be like God—truly righteous and holy” (Ephesians 4:24 NLT). You’ve heard me say this before: When God wants to make a mushroom, he takes six hours, but when God wants to make an oak tree, he takes 60 years. What Christlike traits do you need to take on so God can work on you incrementally? How does God’s Word help you grow stronger in every area of your life? What does becoming more like Jesus have to do with your purpose?